Dr Weiping Wu is the George Daniels Lecturer in the Electrical and Electronic Department at City, University of London. Dr Wu's research focuses on functional materials for optoelectronics, energy harvest and energy storage. His research interests include novel materials, polymers, porous materials, thin films, nano structures for electronic devices (transistors, light-emitting diodes and memories), energy harvest (solar cells), and energy storage (super capacitors and batteries). He is also active in the fields of high frequency electronics, microwave, Terahertz (THz) and nano photonics with novel materials and structures. Dr Wu had been at the University of Cambridge as a Research Associate in 2010. He worked on graphene and 2D materials for optoelectronics, in the Electrical Engineering Division in the Engineering Department at Cambridge University from 2010-2013. He was an early member in the Cambridge Graphene Centre, worked on EPSRC and EU Graphene Flagship projects. He won the first place award in the Cambridge University's Enterprise Competition in 2012, and has been recognized as the finalist for the TechWorks 2018 Award. In 2013, he was appointed as a Research Fellow and Project Leader in the Optoelectronics Research Centre (ORC), University of Southampton where he worked on nano fabrications, lasers, optical fibres, nano photonics and metamaterials. Dr Wu is a worldwide known researcher on functional materials, organic semiconductors and photonics. He has discovered hundreds of novel materials, he also invented and demonstrated several novel devices such as novel transistors, photo-detectors and organic memories. 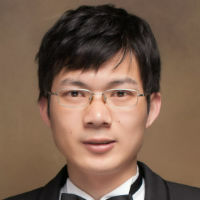 Dr Wu has published more than 50 papers with a total citation over 3000, and an h-index of 29, in the high impact factor journals including Chemical Society Reviews, Nano Letters, Advanced Materials. He wrote a book chapter for the United Nations Educational, Scientific and Cultural Organization (UNESCO). Dr Wu is the Chairman of the Society of Chemical Industry (SCI)'s Chinese UK Group, and the committee members of SCI Materials Group and SCI London Regional Group. Liu, F., Zhao, B., Wu, W., Yang, H., Ning, Y., Lai, Y. … Bradley, R. (2018). Low Cost, Robust, Environmentally Friendly Geopolymer–Mesoporous Carbon Composites for Efficient Solar Powered Steam Generation. Advanced Functional Materials, 28(47). doi:10.1002/adfm.201803266 . Dissanayake, K.P.W., Wu, W., Nguyen, H., Sun, T. and Grattan, K.T.V. (2018). Graphene-Oxide-Coated Long-Period Grating-Based Fiber Optic Sensor for Relative Humidity and External Refractive Index. Journal of Lightwave Technology, 36(4), pp. 1145–1151. doi:10.1109/JLT.2017.2756097 . Iqbal, S., Zhang, L.J., Fu, X.C., Su, D., Zhou, H.L., Wu, W. … Zhang, T. (2018). Highly-efficient low cost anisotropic wet etching of silicon wafers for solar cells application. AIP Advances, 8(2). doi:10.1063/1.5012125 . Wu, F., Qian, J., Wu, W., Ye, Y., Sun, Z., Xu, B. … Chen, R. (2017). Boron-doped microporous nano carbon as cathode material for high-performance Li-S batteries. Nano Research, 10(2), pp. 426–436. doi:10.1007/s12274-016-1303-7 . Dissanayake, K.P.W., Wu, W., Nguyen, H., Sun, T. and Grattan, K.T.V. (2017). Graphene oxide coated long period grating based fibre optic humidity sensor. Proceedings of SPIE - The International Society for Optical Engineering, 10323. doi:10.1117/12.2265465 . Karvounis, A., Ou, J.Y., Wu, W., Macdonald, K.F. and Zheludev, N.I. (2015). Nano-optomechanical nonlinear dielectric metamaterials. Applied Physics Letters, 107(19). doi:10.1063/1.4935795 . Chen, R., Zhao, T., Wu, W., Wu, F., Li, L., Qian, J. … Amine, K. (2014). Free-standing hierarchically sandwich-type tungsten disulfide nanotubes/graphene anode for lithium-ion batteries. Nano Letters, 14(10), pp. 5899–5904. doi:10.1021/nl502848z . Wu, B., Tuncer, H.M., Katsounaros, A., Wu, W., Cole, M.T., Ying, K. … Hao, Y. (2014). Microwave absorption and radiation from large-area multilayer CVD graphene. Carbon, 77, pp. 814–822. doi:10.1016/j.carbon.2014.05.086 . Torrisi, F., Hasan, T., Wu, W., Sun, Z., Lombardo, A., Kulmala, T.S. … Ferrari, A.C. (2012). Inkjet-printed graphene electronics. ACS Nano, 6(4), pp. 2992–3006. doi:10.1021/nn2044609 . Yan, L., Zhao, Y., Wang, X., Wang, X.Z., Wong, W.Y., Liu, Y. … Wu, H. (2012). Platinum-based poly(aryleneethynylene) polymers containing thiazolothiazole group with high hole mobilities for field-effect transistor applications. Macromolecular Rapid Communications, 33(6-7), pp. 603–609. doi:10.1002/marc.201200018 . Ye, S., Liu, Y., Chen, J., Lu, K., Wu, W., Du, C. … Yu, G. (2010). Solution-processed solid solution of a novel carbazole derivative for high-performance blue phosphorescent organic light-emitting diodes. Advanced Materials, 22(37), pp. 4167–4171. doi:10.1002/adma.201001392 . Ye, S., Liu, Y., Lu, K., Wu, W., Du, C., Liu, Y. … Yu, G. (2010). An alternative approach to constructing solution processable multifunctional materials: Their structure, properties, and application in high-performance organic light-emitting diodes. Advanced Functional Materials, 20(18), pp. 3125–3135. doi:10.1002/adfm.201000474 . Liu, B., Wu, W., Peng, B., Liu, Y., He, Y., Pan, C. … Zou, Y. (2010). A polythiophene derivative with octyl diphenylamine-vinylene side chains: Synthesis and its applications in field-effect transistors and solar cells. Polymer Chemistry, 1(5), pp. 678–684. doi:10.1039/c0py00022a . Wu, W., Liu, Y. and Zhu, D. (2010). π-Conjugated molecules with fused rings for organic field-effect transistors: Design, synthesis and applications. Chemical Society Reviews, 39(5), pp. 1489–1502. doi:10.1039/b813123f . Ye, S., Chen, J., Di, C.A., Liu, Y., Lu, K., Wu, W. … Yu, G. (2010). Phenyl-substituted fluorene-dimer cored anthracene derivatives: Highly fluorescent and stable materials for high performance organic blue- and white-light-emitting diodes. Journal of Materials Chemistry, 20(16), pp. 3186–3194. doi:10.1039/b925418h . Di, C.A., Yu, G., Liu, Y., Guo, Y., Sun, X., Zheng, J. … Zhu, D. (2009). Selective crystallization of organic semiconductors for high performance organic field-effect transistors. Chemistry of Materials, 21(20), pp. 4873–4879. doi:10.1021/cm902594y . Di, C.A., Yu, G., Liu, Y., Guo, Y., Sun, X., Zheng, J. … Zhu, D. (2009). Effect of dielectric layers on device stability of pentacene-based field-effect transistors. Physical Chemistry Chemical Physics, 11(33), pp. 7268–7273. doi:10.1039/b902476j . Wan, M., Wu, W., Sang, G., Zou, Y., Liu, Y. and Li, Y. (2009). Poly(thienylene-vinylene-thienylene) with cyano substituent: synthesis and application in field-effect transistor and polymer solar cell. Journal of Polymer Science, Part A: Polymer Chemistry, 47(16), pp. 4028–4036. doi:10.1002/pola.23464 . Sun, Y., Liu, Y., Wang, Y., Di, C., Wu, W. and Yu, G. (2009). Polymer gate dielectrics with self-assembled monolayers for high-mobility organic thin-film transistors based on copper phthalocyanine. Applied Physics A: Materials Science and Processing, 95(3), pp. 777–780. doi:10.1007/s00339-008-5069-y . Guo, Y., Di, C.A., Ye, S., Sun, X., Zheng, J., Wen, Y. … Liu, Y. (2009). Multibit storage of organic thin-film field-effect transistors. Advanced Materials, 21(19), pp. 1954–1959. doi:10.1002/adma.200802430 . Wen, Y., Liu, Y., Di, C.A., Wang, Y., Sun, X., Guo, Y. … Yu, G. (2009). Improvements in stability and performance of N,N'-dialkyl perylene diimide-based n-type thin-film transistors. Advanced Materials, 21(16), pp. 1631–1635. doi:10.1002/adma.200802934 . Guo, Y., Du, C., Di, C.A., Zheng, J., Sun, X., Wen, Y. … Liu, Y. (2009). Field dependent and high light sensitive organic phototransistors based on linear asymmetric organic semiconductor. Applied Physics Letters, 94(14). doi:10.1063/1.3115794 . Ye, S., Liu, Y., Di, C.A., Xi, H., Wu, W., Wen, Y. … Yu, G. (2009). Wide-energy-gap host materials for blue phosphorescent organic light-emitting diodes. Chemistry of Materials, 21(7), pp. 1333–1342. doi:10.1021/cm8032302 . Liu, Y., Wang, Y., Wu, W., Liu, Y., Xi, H., Wang, L. … Yu, G. (2009). Synthesis, characterization, and field-effect transistor performance of thieno[3,2-b]thieno[27prime;,3′:4,5]thieno [2,3-d]thiophene derivatives. Advanced Functional Materials, 19(5), pp. 772–778. doi:10.1002/adfm.200800829 . Zou, Y., Sang, G., Wu, W., Liu, Y. and Li, Y. (2009). A polythiophene derivative with octyloxyl triphenylamine-vinylene conjugated side chain: Synthesis and its applications in field-effect transistor and polymer solar cell. Synthetic Metals, 159(3-4), pp. 182–187. doi:10.1016/j.synthmet.2008.08.010 . He, Y., Wu, W., Zhao, G., Liu, Y. and Li, Y. (2008). Poly(3,6-dihexyl-thieno[3,2-b]thiophene vinylene): Synthesis, Field-Effect Transistors, and Photovoltaic Properties. Macromolecules, 41(24), pp. 9760–9766. doi:10.1021/ma801923c . Wu, W., Zhang, H., Wang, Y., Ye, S., Guo, Y., Di, C. … Liu, Y. (2008). High-performance organic transistor memory elements with steep flanks of hysteresis. Advanced Functional Materials, 18(17), pp. 2593–2601. doi:10.1002/adfm.200701269 . Di, C.A., Yu, G., Liu, Y., Guo, Y., Wu, W., Wei, D. … Zhu, D. (2008). Efficient modification of Cu electrode with nanometer-sized copper tetracyanoquinodimethane for high performance organic field-effect transistors. Physical Chemistry Chemical Physics, 10(17), pp. 2302–2307. doi:10.1039/b718935d . Di, C.A., Yu, G., Liu, Y., Guo, Y., Wang, Y., Wu, W. … Zhu, D. (2008). High-performance organic field-effect transistors with low-cost copper electrodes. Advanced Materials, 20(7), pp. 1286–1290. doi:10.1002/adma.200701812 . Wu, W., Liu, Y., Wang, Y., Xi, H., Gao, X., Di, C. … Zhu, D. (2008). High-performance, low-operating-voltage organic field-effect transistors with low pinch-off voltages. Advanced Functional Materials, 18(5), pp. 810–815. doi:10.1002/adfm.200701125 . Wang, Y., Liu, Y., Song, Y., Ye, S., Wu, W., Guo, Y. … Hu, W. (2008). Organic field-effect transistors with a low pinch-off voltage and a Controllable threshold voltage. Advanced Materials, 20(3), pp. 611–615. doi:10.1002/adma.200701476 . Guo, Y., Liu, Y., Di, C.A., Yu, G., Wu, W., Ye, S. … Sun, Y. (2007). Tuning the threshold voltage by inserting a thin molybdenum oxide layer into organic field-effect transistors. Applied Physics Letters, 91(26). doi:10.1063/1.2822443 . Kim, E., Shen, Y.R., Wu, W., Ponizovskaya, E., Yu, Z., Bratkovsky, A.M. … Williams, R.S. (2007). Modulation of negative index metamaterials in the near-IR range. Applied Physics Letters, 91(17), pp. 173105–173105. doi:10.1063/1.2801701 . Gao, X., Wang, Y., Yang, X., Liu, Y., Qiu, W., Wu, W. … Zhu, D. (2007). Dibenzotetrathiafulvalene bisimides: New building blocks for organic electronic materials. Advanced Materials, 19(19), pp. 3037–3042. doi:10.1002/adma.200700007 . Zou, Y., Wu, W., Sang, G., Yang, Y., Liu, Y. and Li, Y. (2007). Polythiophene derivative with phenothiazine-vinylene conjugated side chain: Synthesis and its application in field-effect transistors. Macromolecules, 40(20), pp. 7231–7237. doi:10.1021/ma071402v . Wang, Y., Zhou, E., Liu, Y., Xi, H., Ye, S., Wu, W. … Li, Y. (2007). Solution-processed organic field-effect transistors based on polythiophene derivatives with conjugated bridges as linking chains. Chemistry of Materials, 19(14), pp. 3361–3363. doi:10.1021/cm070884m . Bowles, S.E., Wu, W., Kowalewski, T., Schalnat, M.C., Davis, R.J., Pemberton, J.E. … Pyun, J. (2007). Magnetic Assembly and Pyrolysis of Functional Ferromagnetic Colloids into One-Dimensional Carbon Nanostructures. Journal of the American Chemical Society, 129(28), pp. 8694–8695. doi:10.1021/ja072757x . Sun, Y., Tan, L., Jiang, S., Qian, H., Wang, Z., Yan, D. … Zhu, D. (2007). High-performance transistor based on individual single-crystalline micrometer wire of perylo[1,12-6,c,d]thiophene. Journal of the American Chemical Society, 129(7), pp. 1882–1883. doi:10.1021/ja068079g . Gao, X., Wu, W., Liu, Y., Jiao, S., Qiu, W., Yu, G. … Zhu, D. (2007). Linear benzene-fused bis(tetrathiafulvalene) compounds for solution processed organic field-effect transistors. Journal of Materials Chemistry, 17(8), pp. 736–743. doi:10.1039/b613093c . Wu, W., Xu, W., Hu, W., Liu, Y. and Zhu, D. (2006). Progresses in organic field-effect transistors and molecular electronics. Frontiers of Chemistry in China, 1(4), pp. 357–363. doi:10.1007/s11458-006-0051-8 . Wu, W., Xu, W., Hu, W., Liu, Y. and Zhu, D. (2006). Progresses in organic field effect transistors and molecular electronics. Chemistry Bulletin / Huaxue Tongbao, 69(6), pp. 404–409. Wang, Y., Wang, H., Liu, Y., Di, C.A., Sun, Y., Wu, W. … Zhu, D. (2006). 1-Imino nitroxide pyrene for high performance organic field-effect transistors with low operating voltage. Journal of the American Chemical Society, 128(40), pp. 13058–13059. doi:10.1021/ja064580x . Wu, W.P., Zhao, B.Y., Wu, Q., Chen, L.S. and Hu, K.A. (2006). The strengthening effect of guar gum on the yield stress of magnetorheological fluid. Smart Materials and Structures, 15(4). doi:10.1088/0964-1726/15/4/N04 . Gao, X., Wu, W., Liu, Y., Qiu, W., Sun, X., Yu, G. … Zhu, D. (2006). A facile synthesis of linear benzene-fused bis(tetrathiafulvalene) compounds and their application for organic field-effect transistors. Chemical Communications, (26), pp. 2750–2752. doi:10.1039/b603632e . Sun, Y., Liu, Y., Ma, Y., Di, C., Wang, Y., Wu, W. … Zhu, D. (2006). Organic thin-film transistors with high mobilities and low operating voltages based on 5, 5′ -bis-biphenyl-dithieno[3,2-b: 2′, 3′ -d]thiophene semiconductor and polymer gate dielectric. Applied Physics Letters, 88(24). doi:10.1063/1.2209213 . Sun, Y., Rohde, D., Liu, Y., Wan, L., Wang, Y., Wu, W. … Zhu, D. (2006). A novel air-stable n-type organic semiconductor: 4,4′-bis[(6, 6′-diphenyl)-2,2-difluoro-1,3,2-dioxaborine] and its application in organic ambipolar field-effect transistors. Journal of Materials Chemistry, 16(46), pp. 4499–4503. doi:10.1039/b608840f .